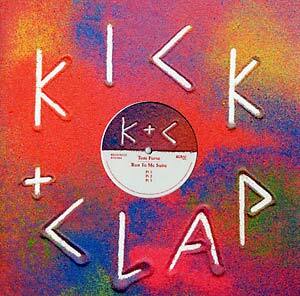 The Kick + Clap label, founded by Dave Maclean (Django Django), follows 2015 releases by UK rave legend Warlock (BEC 5156056) and Baltimore rapper Rye Rye produced by Bullion (BEC 5161939) with Tom Furse's Run to Me Suite. With one foot in Cologne and the other in Detroit, its precise machino-florescence, enamored with Kraftwerk, Juan Atkins, and Yello, underpins latent themes of love, machines, and obliteration. Following a stint on NTS Radio and remixes for the likes of Sébastien Tellier, Django Django, and Connan Mockasin, the Horrors-man-turned-solo-artist continues to maintain a frenetic work-rate with no concern for genre.